I didn’t post yesterday due to an existential crisis. So, today I’m posting about what I did yesterday – welcome to time travel. I had planned to head off to the local Farmers’ Market down at Lake Wendouree, and so I did. I spent about $15 there on this lot. What? It doesn’t look all that exciting? Really? Huh. Let me go through what I’ve got here. In that bag at the front, in the bottom left hand corner, there are Golden Linseeds. I like to add a couple of tablespoonfuls of that to my bread mix. There are already linseeds in the mix that we buy, but I like to boost it. 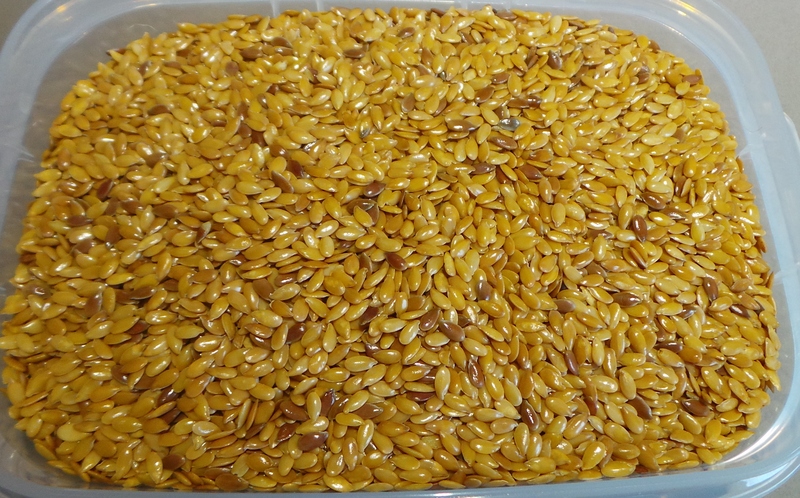 Linseed is full of fibre and Omega 3s. However, unless you grind it, the Omega 3s aren’t available to you and the seeds pass through your body undigested. So, I use a small electric coffee grinder to break them up a bit and add them through the nut/seed/fruit dispenser in my bread machine. Next, there are Navy Beans. I buy a lot of these – usually 500g at a time. They cost around $8 a kilogram. 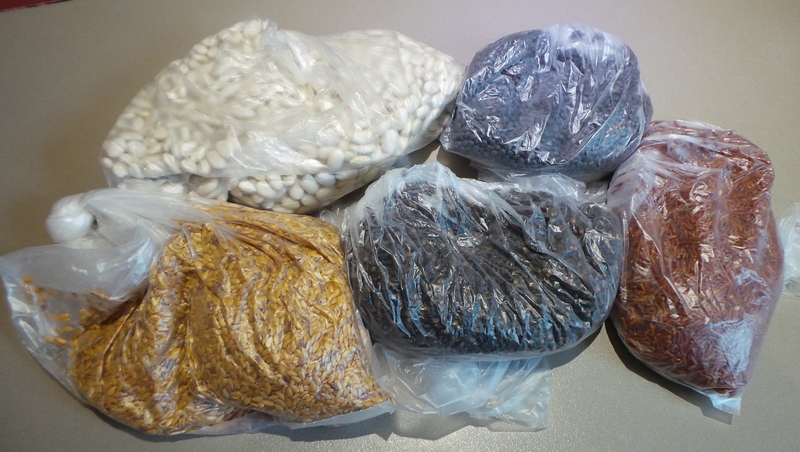 Now with that 500 g, or 1 pound, I can make a batch of baked beans to keep in my freezer for quick and nutritious lunches. 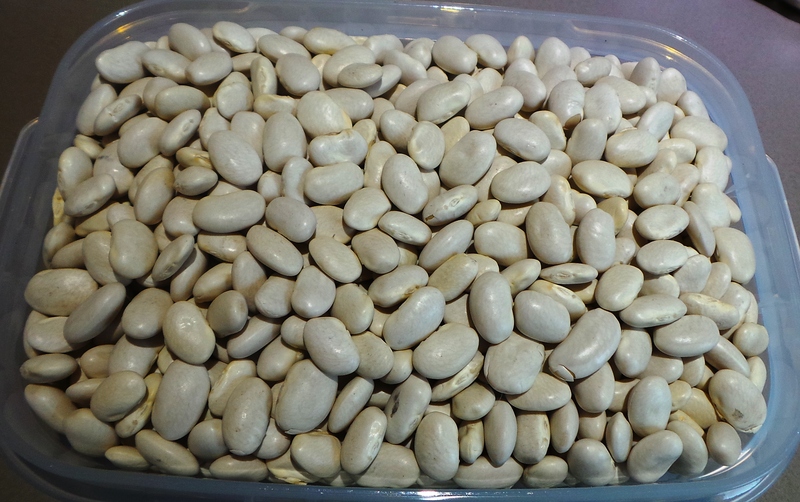 That batch will make about 2 litres worth of beans. The Boy and I are in discussions about maybe buying a pressure canner so I can keep them in my pantry instead…. stay tuned. 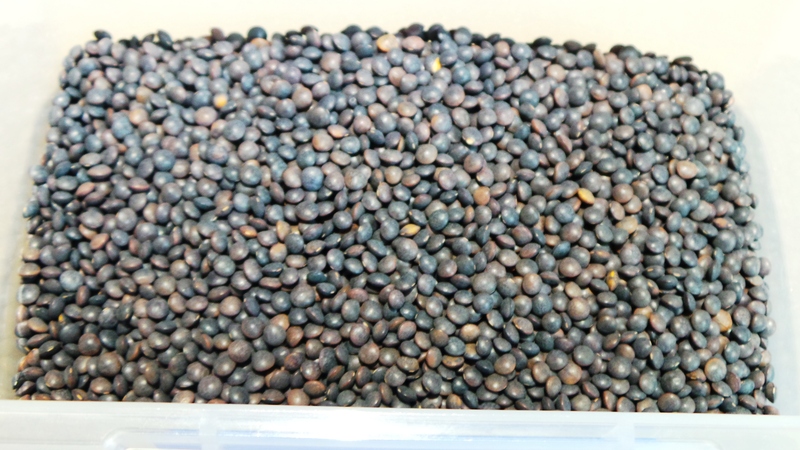 Next, we have black lentils. 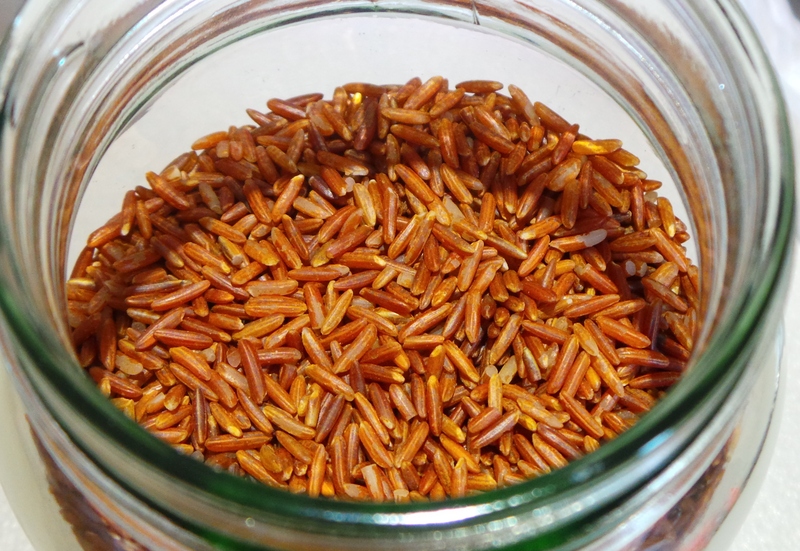 Next, you’ll see some Red Basmati Rice. I hadn’t ever seen this before, so I grabbed 250 g of it. Basmati rice is a little lower on the Glycaemic Index (GI), which makes it much better for keeping my blood sugars stable (and yours too). I have no idea what it tastes like and I’m looking forward to finding out. 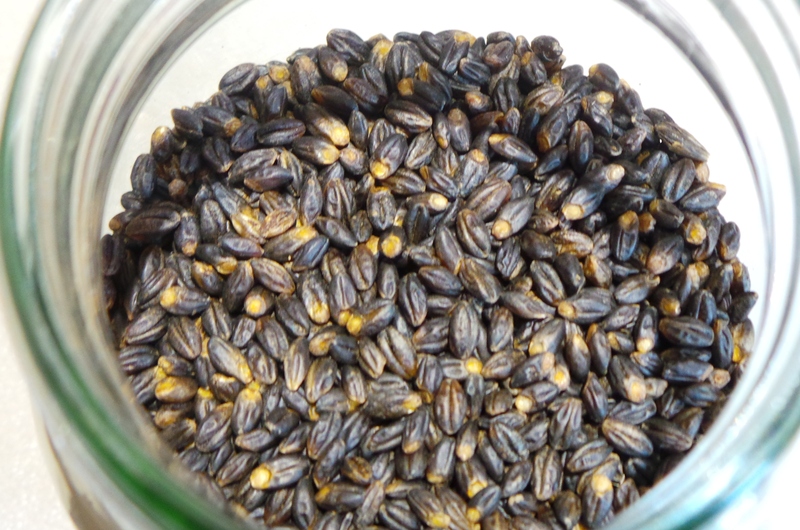 Lastly, there is black barley. I was really happy with how it turned out in my Barley and Lentil Hotpot and have decided it needs to be a pantry staple in the Budget Bounty household. So there. I had a few dollars left from the $20 I had been prepared to spend, so I bought some Bok Choy as well. Then I came home and saw to the meat. 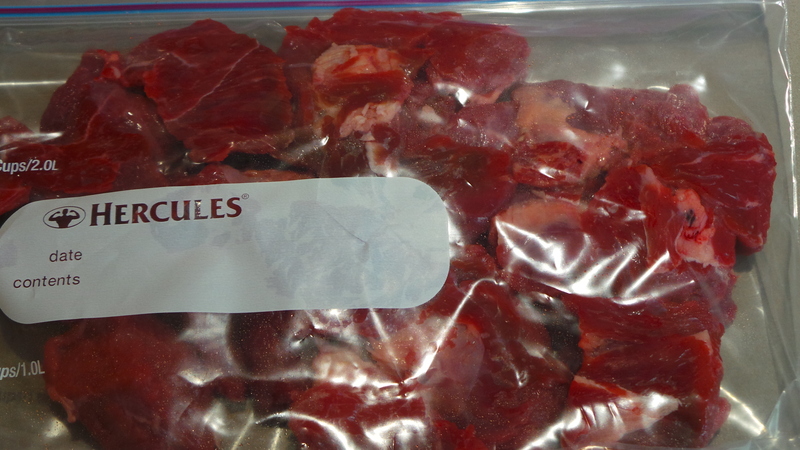 The chuck steak was diced, placed in a zip lock bag and frozen as is. I already have a few bags of marinaded diced chuck in the freezer, so I thought I’d leave this lot plain for now. 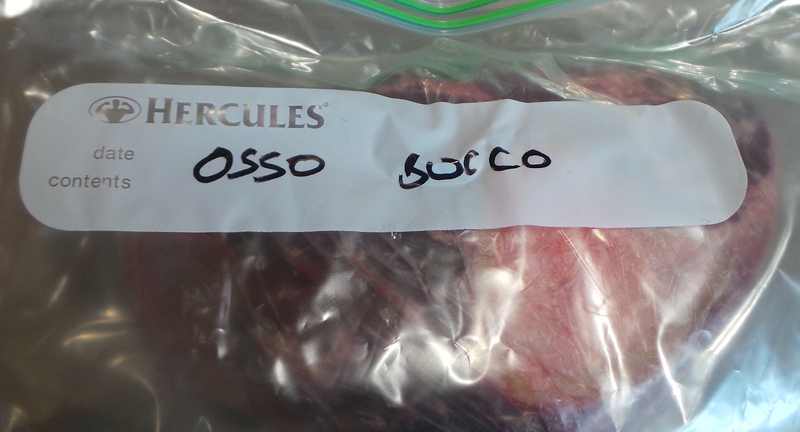 The Osso Buco was also frozen as was. It’s there ready for a nice, warming casserole in the future. 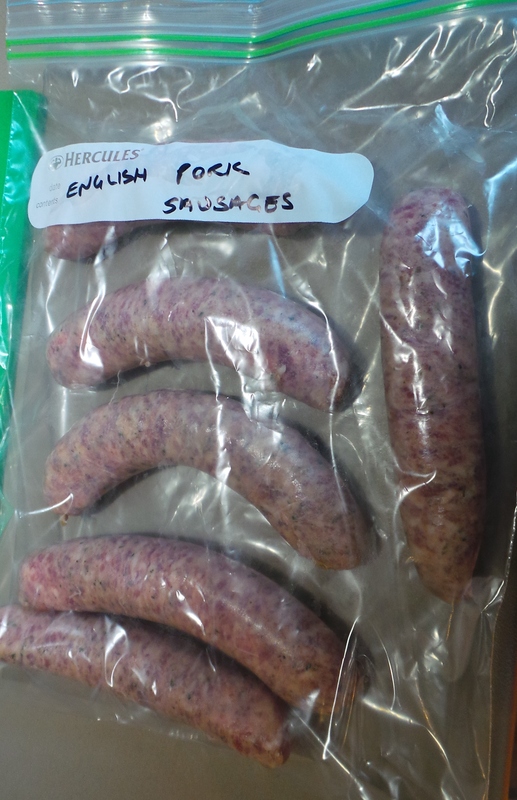 The sausages were placed into a large ziploc bag – being sure they weren’t touching – and frozen. Once they were frozen through, the bag was shaken down and folded over. By freezing the snags like this, I will be able to remove one or two at a time without having to defrost the whole lot. With this style of sausage, I’ll only need a small number to feed the two of us. 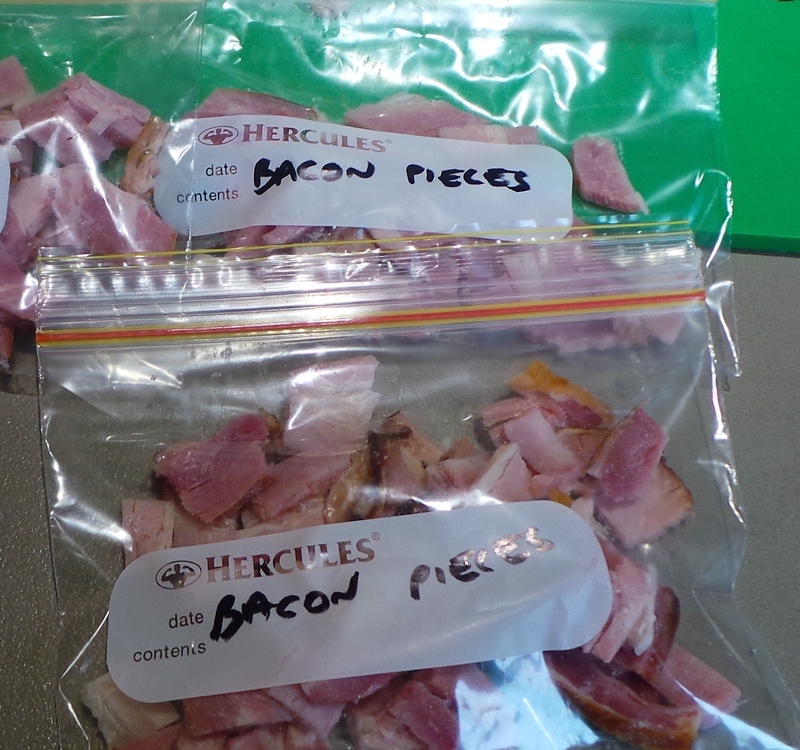 Then, I processed the bacon rashers, cutting off the tails and dicing them and leaving the “eye” part whole. They were frozen in separate bags and small portions. Although one portion was immediately used to counter the Antarctic vortex currently enveloping most of southern Australia. 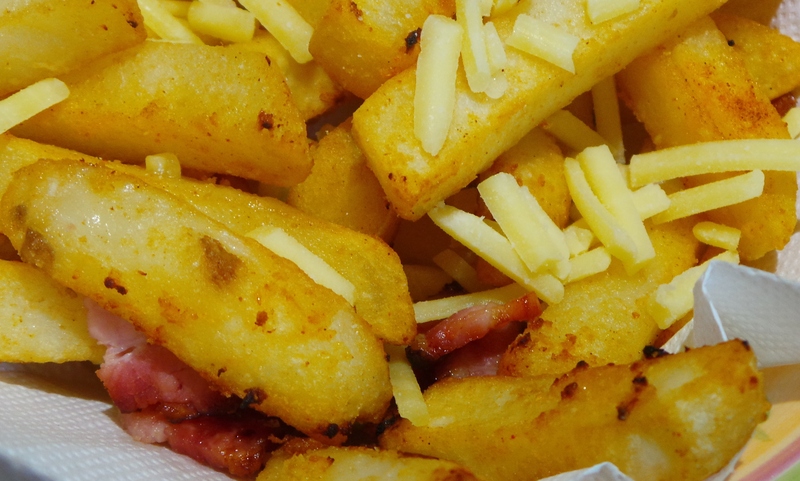 I added them to a fine luncheon of Loaded Hot Potato Chips. Yum! They really hit the spot! Bread was made, as was a batch of Apple and Oat Bars. I dined on leftover risotto and The Boy ate chicken soup. Tonight he is making Porcupine meatballs in the pressure cooker and using some of the red basmati in it too!